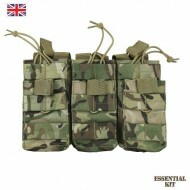 The Duo Double Mag Pouch in BTP (British Terrain Pattern) from Kombat UK is designed .. 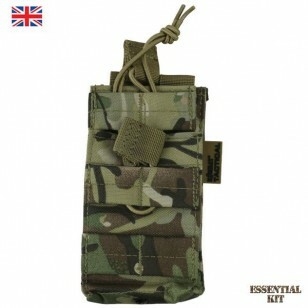 The Triple Duo Mag Pouch in BTP (British Terrain Pattern) camouflage from Kombat UK is designed to t.. 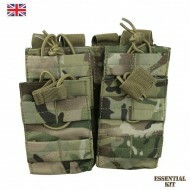 The Single Duo Mag Pouch in BTP (British Terrain Pattern) from Kombat UK is designed to take 2 x M4/M16 style magazines. 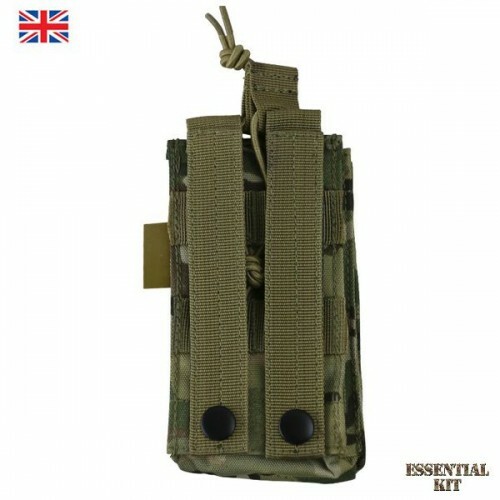 The single Duo pouch is molle backed and compatible with molle assault vests, battle belts and chest rigs as well as many rucksacks. The front of the pouch features horizontal molle loops to attach other molle compatible pouches to and further increasing your load carrying capacity. The Duo Pouch sits one magazine in front of the other rather than side by side, allowing you to increase carrying capacity without too much bulk. 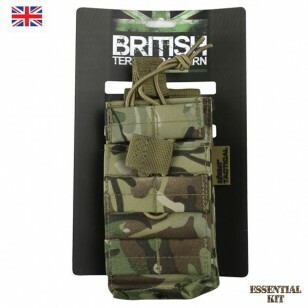 Quick release bungee retainers to hold magazines securely (without the sound of ripping velcro). 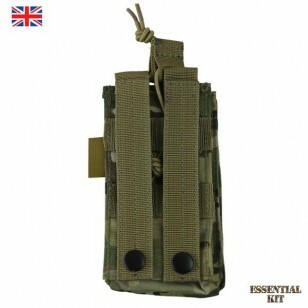 Sturdy press-stud closure on molle straps for a firm hold and non-slip. Drainage hole on each individual pocket.